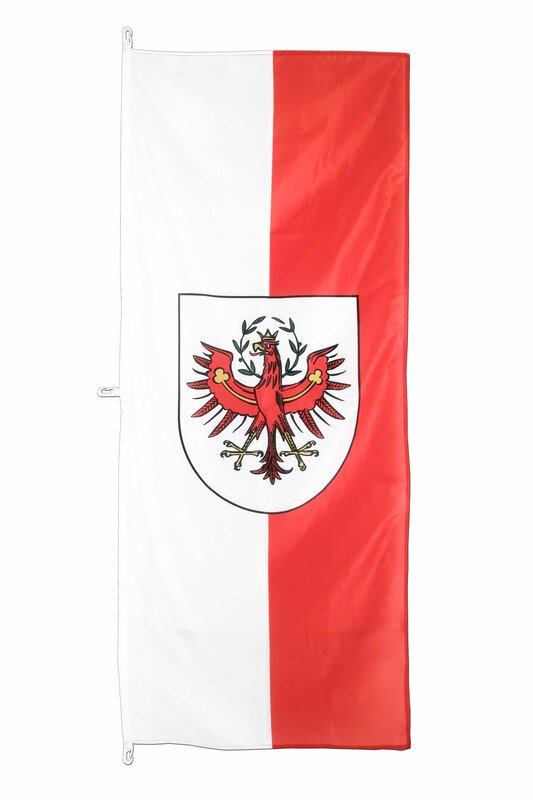 Austria Tyrol flag in vertical format, size 2x6 ft, manufactured from high-quality polyester. On the pole side (left), the flag is reinforced with a white header, and the other edges have a double stitched hem for high resistance to tearing. With three plastic carabiner hooks sewn in for hoisting on a flagpole. 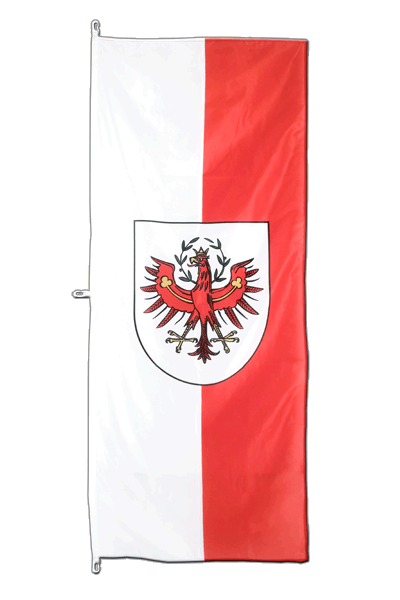 Royal Flags, your online store selling high quality Vertical Flags with best service. 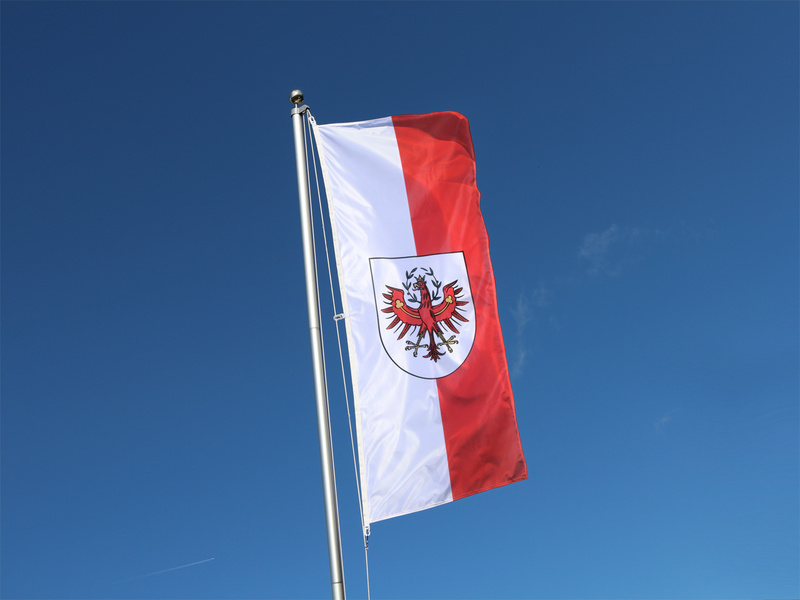 Here you can find all sizes and designs of our Tyrol flags for sale. Order "Vertical Flags" in bulk from us. Buy many with less money.